Bangkok is a complex, sensory city filled with grit, bright lights, crowded streets, a mix of modern and old culture, and no shortage of temptation. As the capital of Thailand and a major economic hub, this metropolis is home to over 6 million people, with an estimated 14 million people living in the suburbs. While visiting Thailand, especially if you’re flying into the region, you shouldn’t miss all the experiences this wondrous, multi-faceted city has to offer. If you’re like me, however, you may run into a problem in which you only have one day to explore. Originally having planned on staying at least a week or two, I suddenly got a job teaching in Trat- near the border of Cambodia- and left prematurely. Nonetheless, I was lucky enough to come back to Bangkok for my flight to Hanoi, Vietnam, and had a bit more time to let the city’s uniqueness seep into my pores. 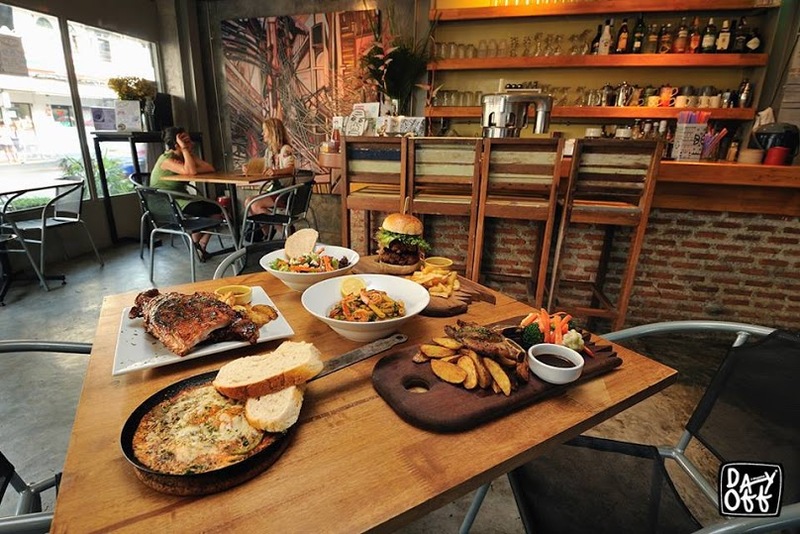 No matter what your situation is, if you find yourself with a limited amount of time in Bangkok, the following are suggestions on what to see, where to eat, and what to do in order to make the most of your time. 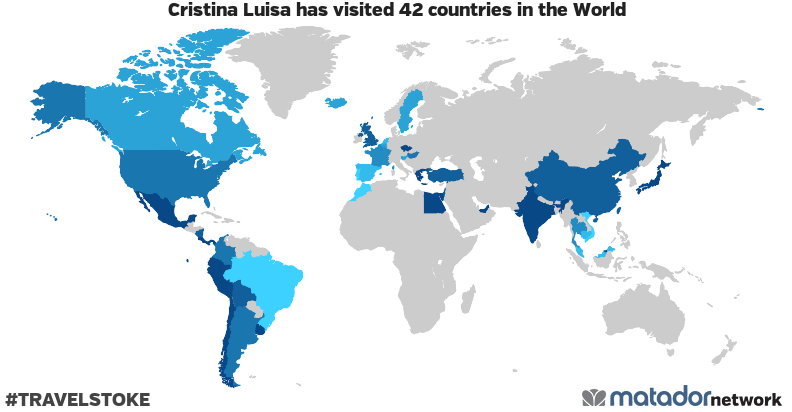 This is by no means a 24-hour step-by-step itinerary, since this is not how I travel. It is more of a list of what I enjoyed, and what I thought gave me an authentic, comprehensive taste of the city on very limited schedule. Tuk tuks are commonplace in Thailand, but in Bangkok it seems they need to make a statement. Decorated in loud, flashy, sometimes glittery colors, the drivers oftentimes bump their music and hang all kinds of ornaments, including Christmas lights, on their rides. Tuk tuks are cheaper (and alot more fun) than taxis, and because they are essentially a carriage hitched to a motorcycle, the driver can weave in and out of traffic much faster than a car or bus. 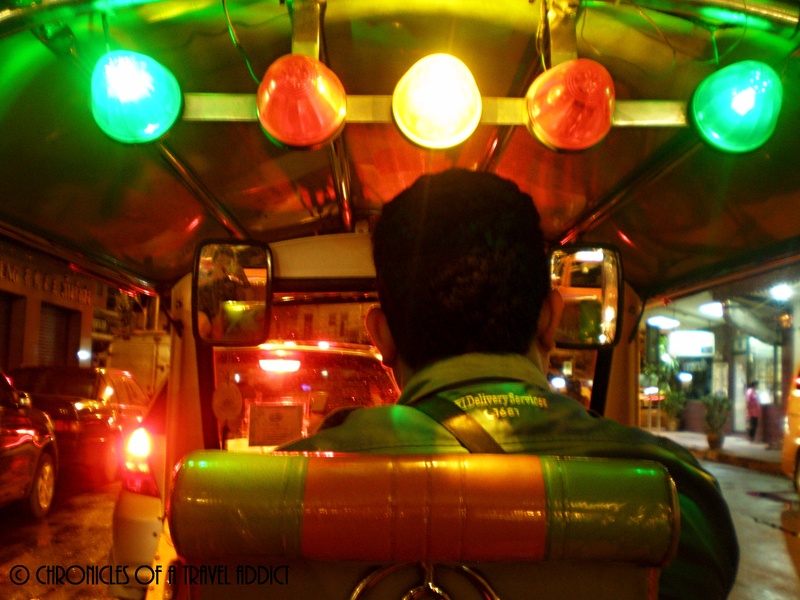 Tuk tuks are a fantastic way to discover the city! While just one day in Bangkok is sure to be jam-packed with activity, try your best to avoid rush hour, or rather, hours. If you’ve been to places like Los Angeles in the US, or Mexico City in Mexico, and think you’ve seen the extent of traffic hell, you are mistaken. 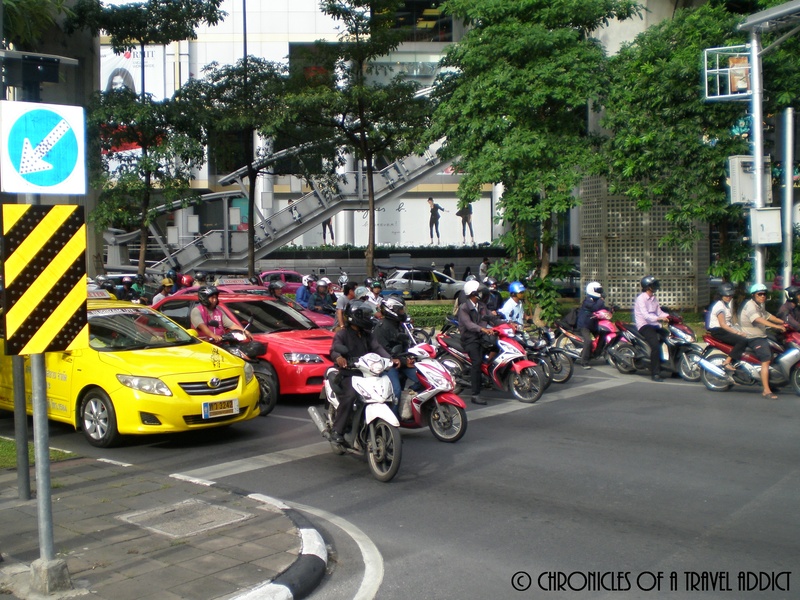 Bangkok is a large city, and if you have the misfortune of wanting to get from one side to the other while the streets are congested, you better have brought War and Peace along with you. I hopped on the bus, thrilled at paying a miniscule fare, only to realize that I’d be stuck on that bus for about three and a half hours. My original calculations determined that I should have arrived within 30 minutes. If you can’t avoid rush hour, take the MRT (Metropolitan Rapid Transit). This is Bangkok’s main railway service and will get you to most major areas. If not, it will get you a whole lot closer to your destination and substantially cut down your travel time. This is very important when you only have one day; you don’t want to spend it stuck in traffic! 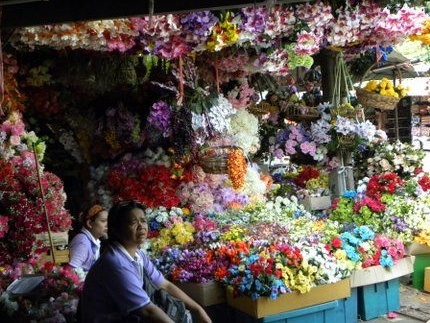 Bangkok is all about business, and in a city like this, you better believe that its markets are something spectacular. From food to clothing to jewelry massages to flowers to furniture to… pretty much anything you can buy with money- you’ll find it in abundance. For most Westerners, the baht, or Thai currency, is very low, and that means that Bangkok will be a shopping paradise for most. Please keep in mind, however, that the Thai working class put in countless hours of hard work for minimal pay, so be fair when haggling. The biggest, most varied market is the Chatuchak, with places like Talat Rot Fai being a great place for antiques, and Thanan Kaoh San Market offering a good variety of souvenirs. If you haven’t had Southeast Asian fruit yet, be sure to try some dragon fruit, rhambutan, lychee, mangosteen, or if you’re feeling especially adventurous, the notorious durian. Durian is especially stinky, and has been banned from certain hotels for its pungent odor, but the taste is quite unique! Bangkok is a modern, bustling city focused on the future, but there are also beautiful remnants of the past tucked away in its streets. If I had to choose just one place to visit to get a sense of classic Thai architecture, it would be the Grand Palace. Built in 1782, it is a massive, gorgeously ornate, white, red, and gold complex of structures. Within its walls lies the Emerald Buddha Temple, or Wat Phra Kaew, which is considered the most sacred temple in the country. 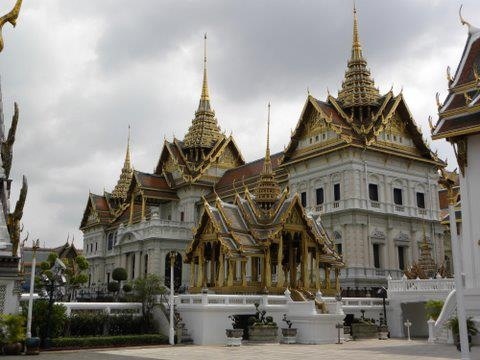 The Grand Palace is also a powerfully symbolic building in Thai culture, since this is where the king resides. Walking away from Bangkok without seeing this structure- conveniently situated in the city center- would be like leaving Thailand without tasting the food. It’s a serious feast for the eyes. View of CHOMP from the outside. Permission to use photo by Gili Back. CHOMP is one of those places you walk into on a whim and instantly know that you’ve found what you’ve been looking for. Since I’d arrived in Bangkok on an overnight bus from Phuket at 5:30am, I was starving when I finally got around to searching for food. This place is amazing! Owned by a lovely South African woman and her Thai husband, they put their hearts into all of the plates they make. It’s open for every meal of the day (8am to 11pm), have delicious burgers (I’ve heard), and cater to those (like me) who eat plant-based diets. Everything is fresh, like their to-die-for smoothies, and the restaurant is kid-friendly, too. To top it off, they host fundraisers, parties, and art exhibitions- so be sure to check out their calendar before heading over. CHOMP from the inside- preparing delicious food even on their day off! Permission to use photo by Gili Back. The people at CHOMP are so sweet that they called a taxi for me, wrote directions in Thai for me to give to the driver, and later that night invited me to party with them. This place rocks! Located in the Banglamphu region, just over a half a mile from the Grand Palace, Kaoh San Road is a crazy street that especially comes alive in the nighttime. Filled with bars, restaurants, clubs, bazaars, street food, and plenty of international wanderers, there is always plenty to do. Sure, it may be more on the touristy side and a bit more expensive than remote parts of Bangkok, but it’s worth the experience. My time spent on Kaoh San Road was with locals, where they took me to their favorite open-air bar that played rock and roll music (there’s really something for everyone!). 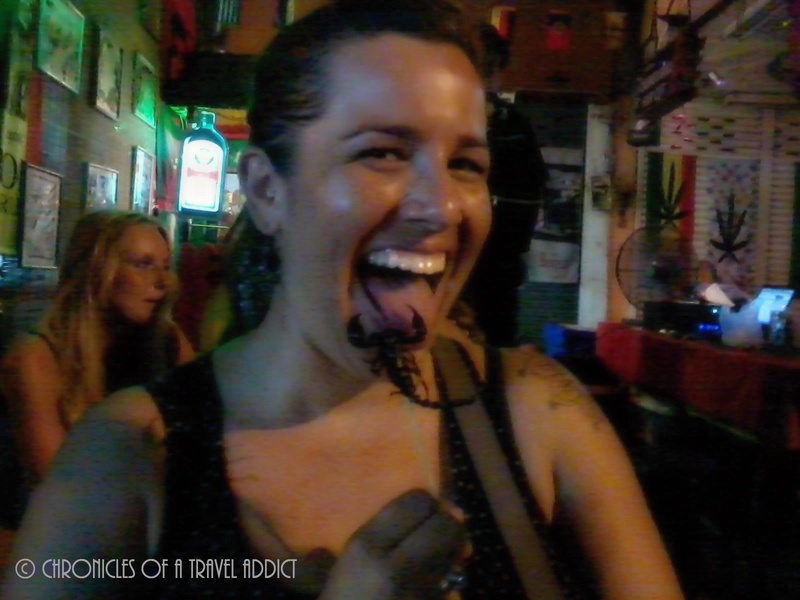 After a couple of shots, and quite a few vendors passing by, a Thai man selling fried scorpion on a stick approached me. At the time I was vegetarian, but curiosity got the best of me, and about 60 baht (less than $2 USD) later, I was biting down on a poor old scorpion head. It was extremely salty, and what I imagine charcoal would taste like. Not to worry, if scorpions aren’t your thing, there are cockroaches, ants, spiders, and other critters available to eat. Now, when it comes to nightlife, there’s nothing boring about Bangkok. 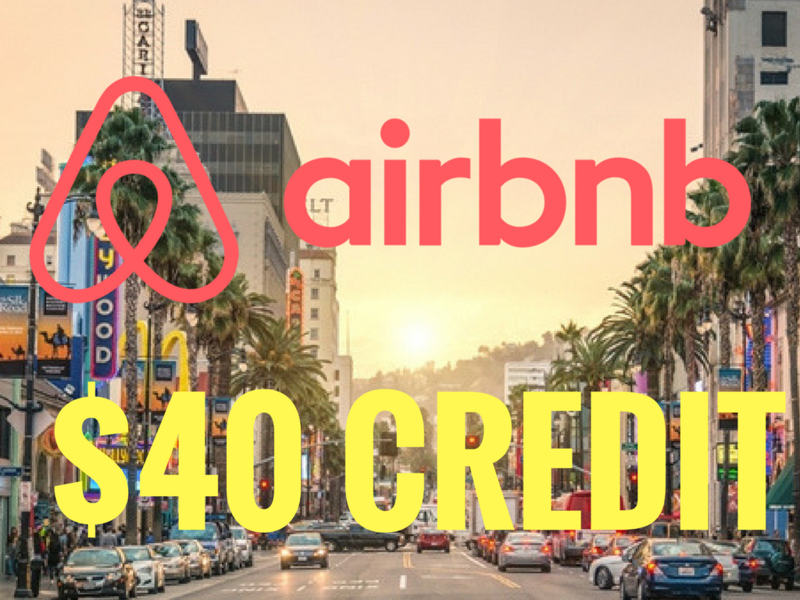 Whether you’re on a shoestring budget or have money flying out of your pockets, and whether you like to sip fine wine, party like a rock star, dance the night away, or have a few brews at a dive bar, there is something for you. 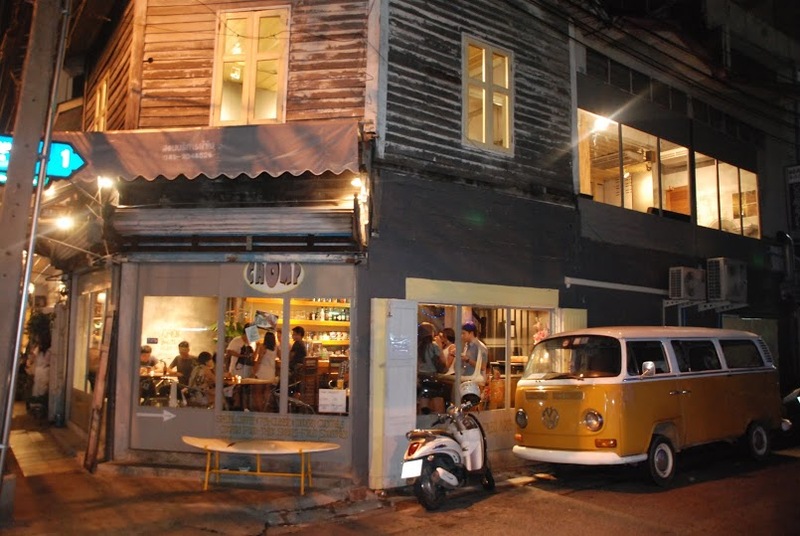 Luckily, Kaoh San Road has a great selection of things to do when the sun goes down. After having the misfortune of tasting scorpion, my friends and I went to several bars and clubs, listening to house music, watching light shows, and drinking magical potions out of huge buckets. If you’re a beer connoisseur, be forewarned, the Thais will immediately try to put ice in your beer. All in all, Bangkok is a city where you will never get bored. There is plenty more to see than what I’ve listed here, and some of these options just might not be your cup of tea. 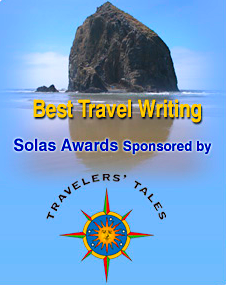 However, this is entirely my opinion- and if you’re the same kind of traveler as I am, I think you’ll find your day brimming with new adventures and unexpected moments. One thing is doubtless- Bangkok will be a memorable city in which all five of your senses are constantly engaged, intrigued, and challenged. How about you? What would you recommend seeing if you only had one day in Bangkok, Thailand? Did I miss anything? I’d love to hear your comments!